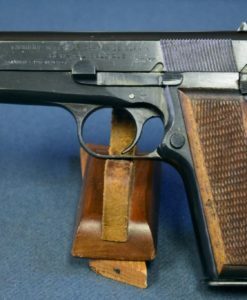 In 95% condition,we have a late production (1928-29) Walther Model 4 .32 auto pistol. 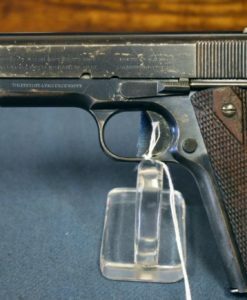 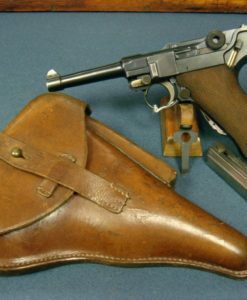 The Model 4 was one of the more prolific and commonly encountered European pocket pistols of the WW1 era. 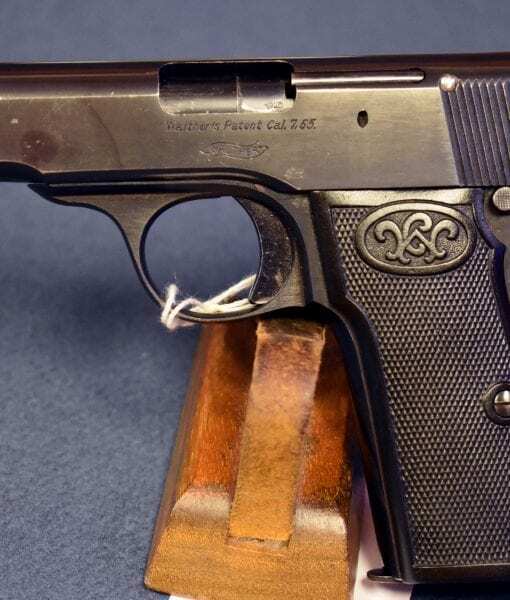 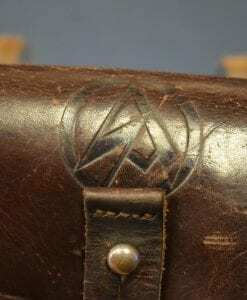 It was replaced with the revolutionary Walther Model PP in 1929. 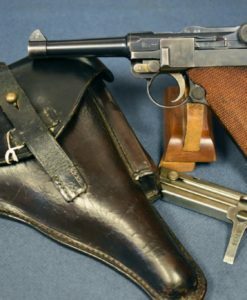 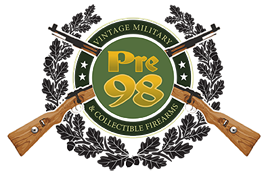 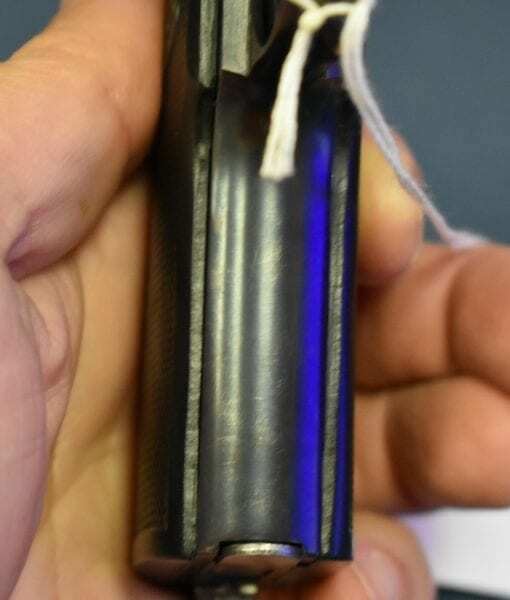 It was one of the more successful designs and competed against the Sauer Model 1913, Ortgies and 1914 Mauser models In Germany and the excellent FN offerings and a plethora of other less commercially viable designs from other European makers. 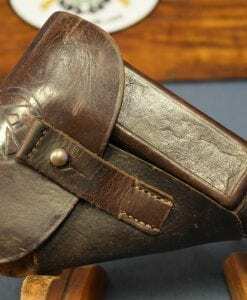 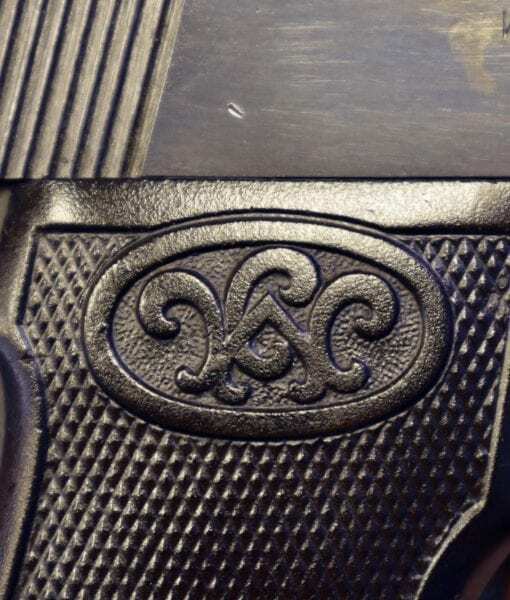 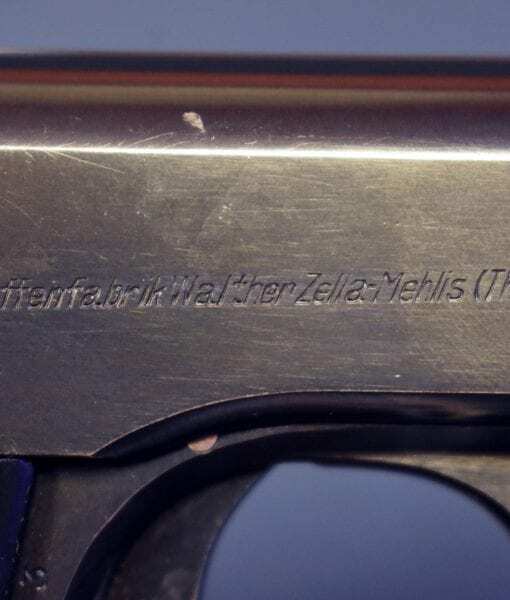 It was not as well received on the American market, Where the Colt,Savage,Mauser and Ortgies were more popular. 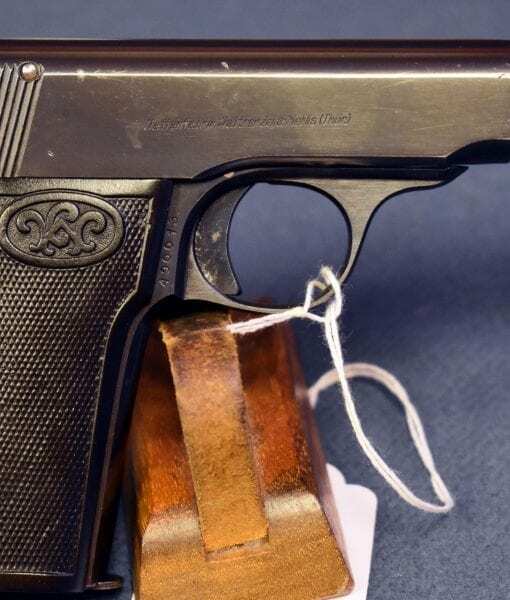 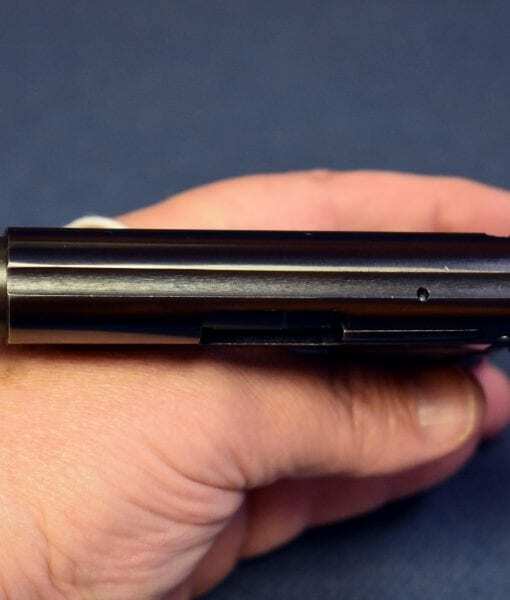 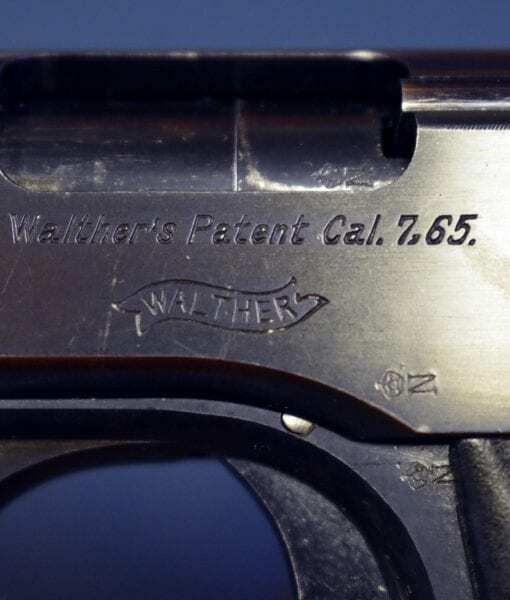 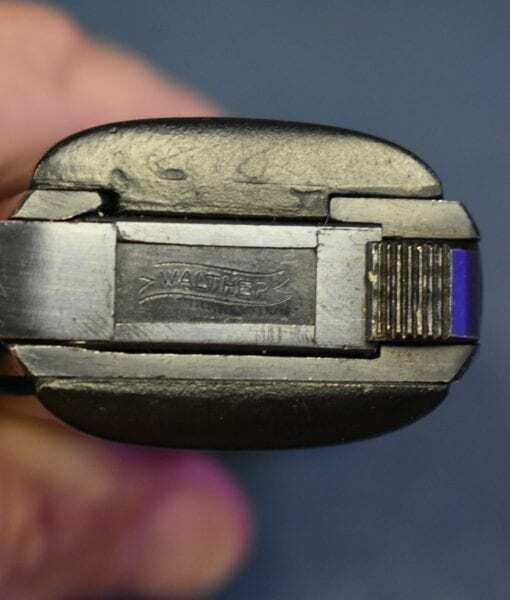 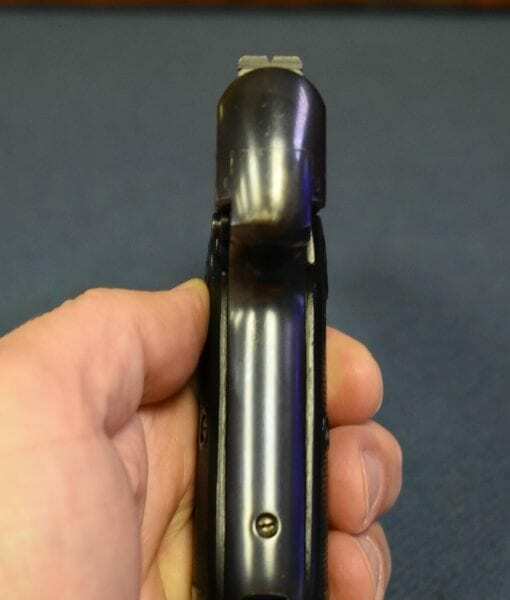 This was certainly Walthers main seller prior to the Advent of the PP series but while it was an adequate pistol it was not the major innovation and legend that made the firm famous.